A lot of people will have to forfeit their right to a higher education because of this “Gainful Employment” act. The President and congressmen are stating and campaigning on how “we” as Americans need to continue our higher education, enroll in universities and colleges so that we can get high paying jobs and stimulate the economy. Well the only problem with that, is that we can’t afford to attend these colleges, nor do we have the time to attend these major universities that ultimately require you to attend school during the day. Granted some colleges have evening courses but not all of them. 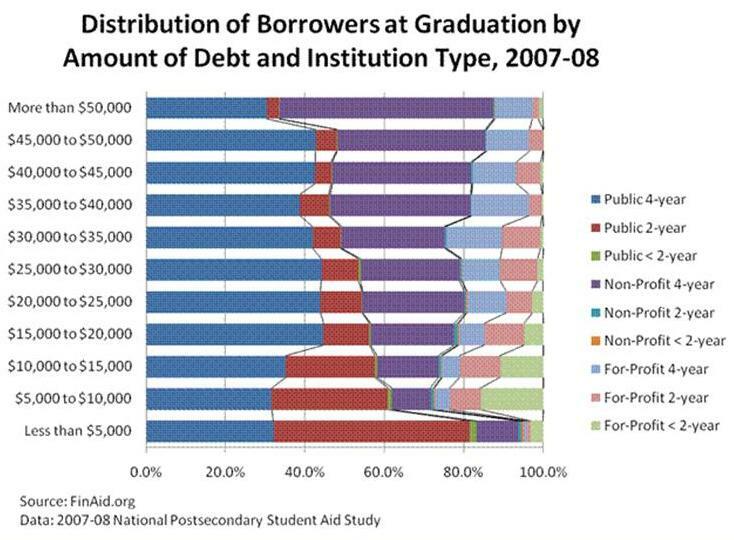 And beyond the financial aid you still have to come out of pocket for a lot of things that are needed to attend those universities, like books, supplies, meals, parking, lab materials, etc… The only thing that low income families can afford are (“second rate”how some senators like to label it ) career colleges. About half of the people in this supposedly great nation are considered low income. The only thing they are accomplishing by enacting this new law/rule is taking away the last bit of hope that these (“lower income”) people (like myself) had for themselves as well as their children. For most, this is the only way to better their children’s lives, to one day be above the lower income stigma and to not have to struggle or even worry about whether or not they’ll be able to make ends meet. The only thing the government will be stimulating is the continuation of a vicious cycle that will keep the rich people rich and poor people poor.